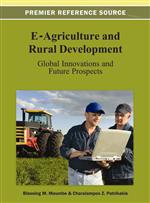 The need to provide agricultural information to farmers has led to emergence of numerous electronic-based MIS projects in developing countries. These projects aim at promoting farmer linkage to better markets. However, experiences from past and present projects show mix cases of success and failure, despite some projects meeting their goals. This study examines how the environments in which such ICT-based MIS are deployed affect their performance. It specifically uses two ICT-based market information service projects, the DrumNet and Kenya Agricultural Commodity Exchange (KACE) projects, to assess how the socio-economic, physical, and institutional environments in such projects are deployed affect the performance of such projects. The study finds that a number of environmental factors related to socio-economic, physical, market, and legal environment affect the performance of ICT-based projects. Some of these factors exacerbate transactions costs thus undermining the performance and even sustainability of ICT-based MIS projects. It discusses policy implications of these findings. Smallholder farmers comprise the majority of the farming community in developing countries. However, most smallholder farmers face poor functioning input and output markets. The markets for agricultural inputs fail for most smallholder farmers in developing countries due to many factors (Kydd & Doward, 2004; Key & Runsten, 1999; Poulton, et al, 2006). First, smallholder farmers face high transactions costs in the input markets. Markets for agricultural inputs, especially agricultural information, fail for smallholder rural farmers due, among other things, to illiteracy, distance to information sources, or absence of the type of information the farmer needs to produce the desired crop (Key & Runsten, 1999). Yet access to market information is essential especially where buyer(s) have quality and safety specifications that must be met by farmers. Poor access to information also promotes opportunistic behavior and results in traditional information asymmetry problems namely, moral hazard and adverse selection. Thus poor access to agricultural information results in poorly functioning input markets which in turn constraints the participation of smallholder farmers in such markets. In particular, poorly functioning input markets impede smallholder farmer investment in and use of yield-enhancing agricultural technologies. Low investment in agricultural production is the leading cause of low equilibrium trap in agriculture (Kydd & Doward, 2004). Low equilibrium trap is a steady state situation in which low levels of investment sustains imperfect markets and poverty. The need to smallholder farmers’ participation in input and output markets has led to search for new models of providing market information to such farmers. Recent attention has especially shifted to the use of ICT-based technologies. Hence projects that use information and communication technologies (ICT) to provide input and output market information to farmers have proliferated in developing countries (De Silva, 2010; Okello et al, 2010a). A recent study found 39 such agricultural projects with ICT components in Kenya alone (Munyua, 2007). In Africa, examples of ICT-based projects include the Kenya Agricultural Commodity Exchange and DrumNet in Kenya, Busoga Rural Open Source and Development Initiative and FoodNet in Uganda, Malawi Agricultural Commodity Exchange in Malawi, Manobi in Senegal, TradeNet in Ghana, Kilosa Rural Services and Electronic Communication in Tanzania, and Program for Promoting Rural Revenues in Madagascar. The major goal of these ICT-based projects is to facilitate farmer access to market information and help them transition from subsistence to commercial agriculture.